Has your home been invaded by Radon? Radon is believed to be the second leading cause of lung cancer in this country. That’s why the Environmental Protection Agency (EPA) and the Surgeon General strongly recommend that all homes be tested for Radon, and, if a problem exists, corrective action be taken as soon as possible. We use calibrated electronic meters to test for Radon gas in the home. These meters have a built-in tamper notification and provide hourly reports along with instant results at the end of the test. 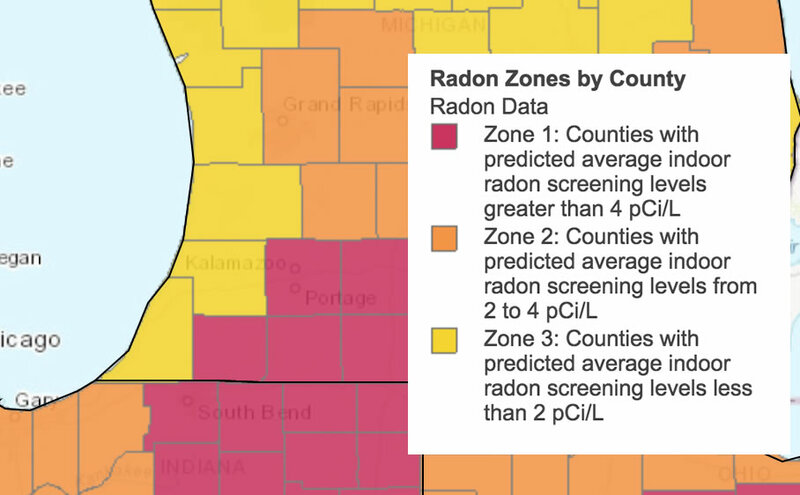 Southwest Michigan has several counties with predicted average indoor Radon screening levels greater than 4 pCi/L (4 pCi/l is the recommended action guideline set by the EPA). Your lung cancer risk from Radon is determined by the amount you are exposed to, and the length of time you’re exposed to it. Secure Start Inspections will perform Radon testing either with your home inspection, or as a stand-alone test. Radon tests are performed under closed-house conditions, and run two to seven days. Call us at 269-375-7555 today to schedule your Radon Test. Get the assurance you need for the safety of yourself and your family.